The Digital Research Library of Illinois History Journal™: George Stafford on his stake wagon used to move household furniture between Wheaton and Chicago between 1885 and 1890. 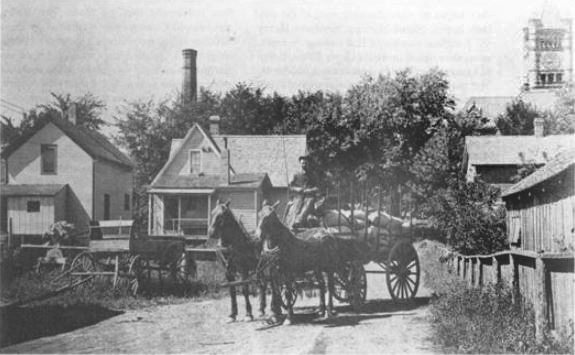 George Stafford on his stake wagon used to move household furniture between Wheaton and Chicago between 1885 and 1890. George Stafford on his stake wagon with the DuPage County Courthouse in the background on the far right with the clock tower. 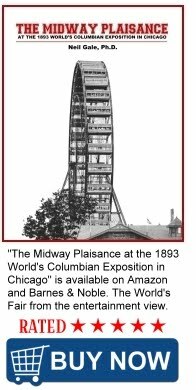 The rig was used to move household furniture between Wheaton and Chicago in the 1885-1890 period. The round trip took three days. Courtesy of the Wheaton Historic Preservation Council. Here is another perspective of the scene above. 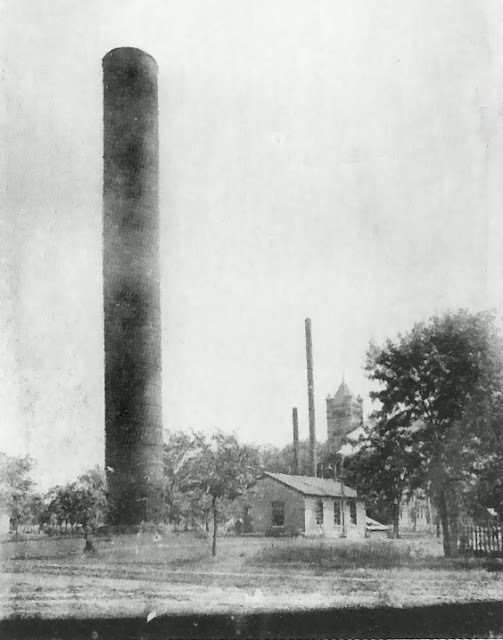 The water-pumping station is seen in the foreground of this circa 1900 photograph, Behind is the DuPage County Courthouse with the clock tower.